With over 10 years experience Overtime Autographs is proud to be able to provide an excellent collection of signed memorabilia. 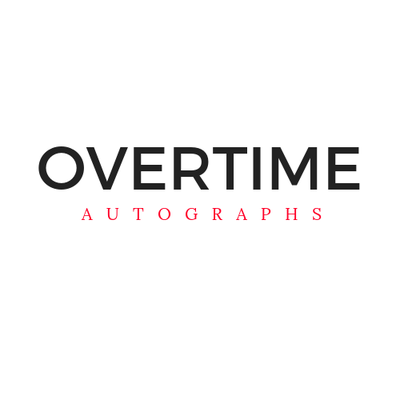 Overtime Autographs brings you an excellent selection of genuine autographs obtained in person at various events all across Canada. You can rest assured that any item purchased from Overtime Autographs is guaranteed to be authentic. Whenever possible a 'proof' photo of the individual in question signing will be displayed along with the item to further erase any doubts. Customer service is a top priority which is why I am happy to answer any questions you may have. Please feel encouraged to contact me if you ever have any question about any items available from Overtime Autographs.